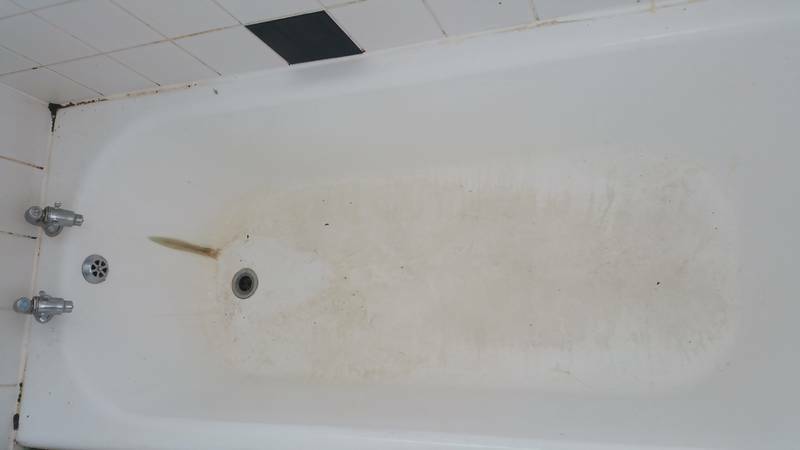 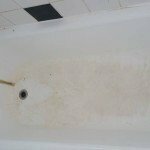 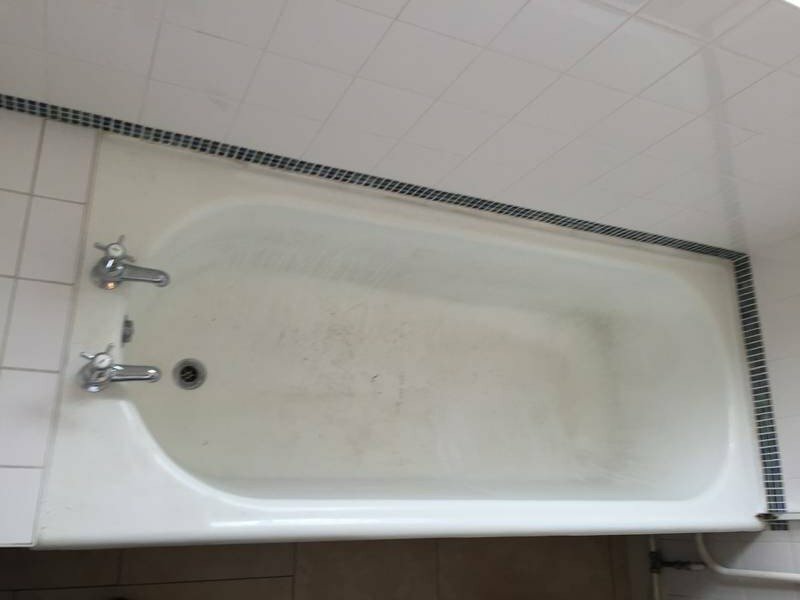 When the surface of your bath starts to give away its age, we are here with the complete solution to get rid of the fade. 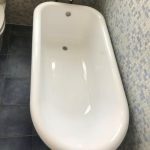 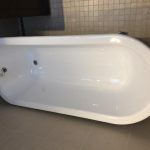 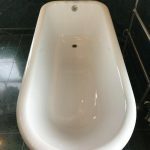 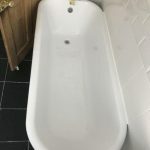 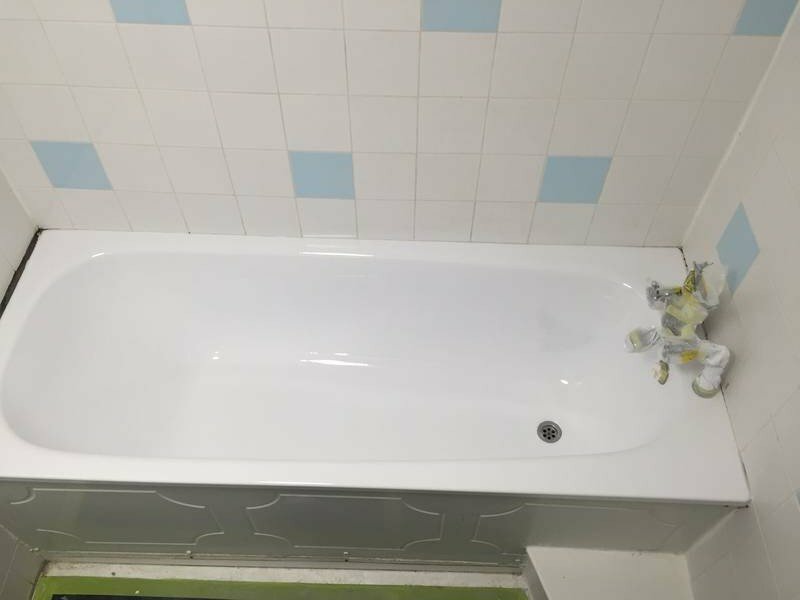 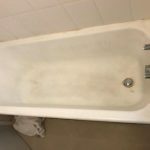 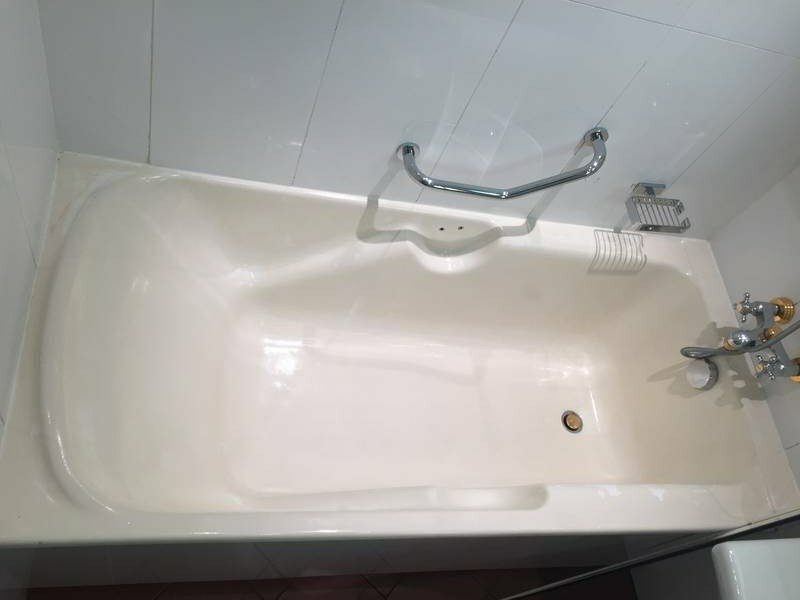 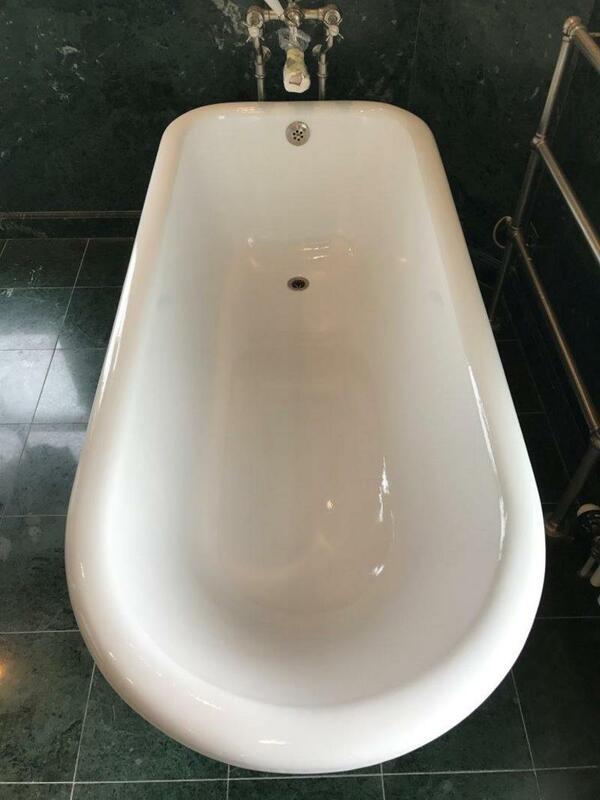 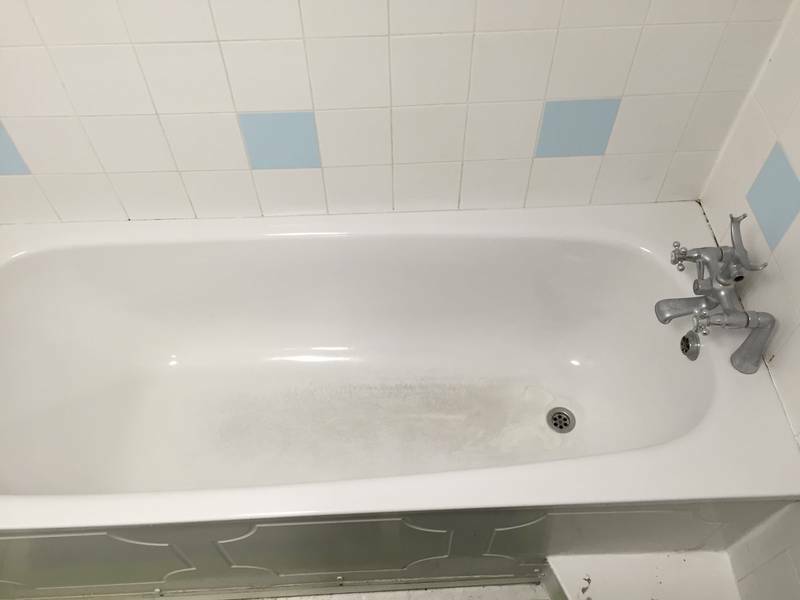 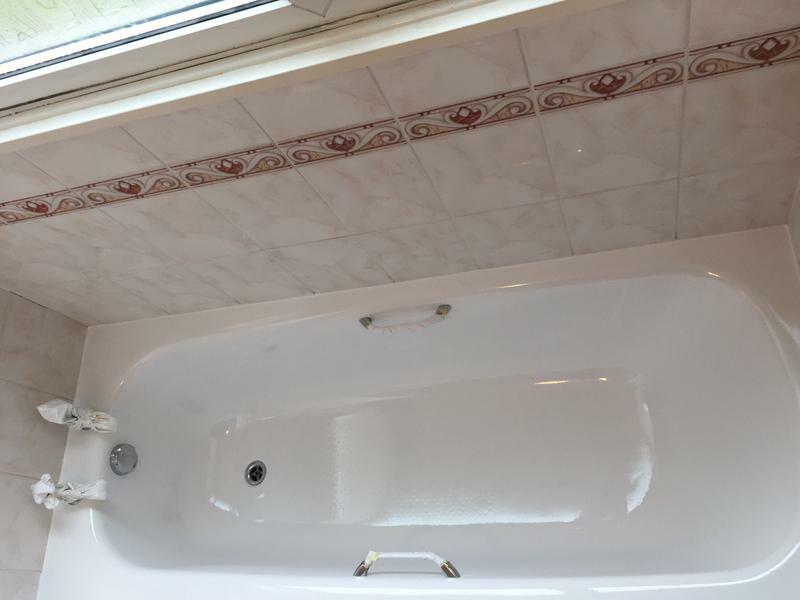 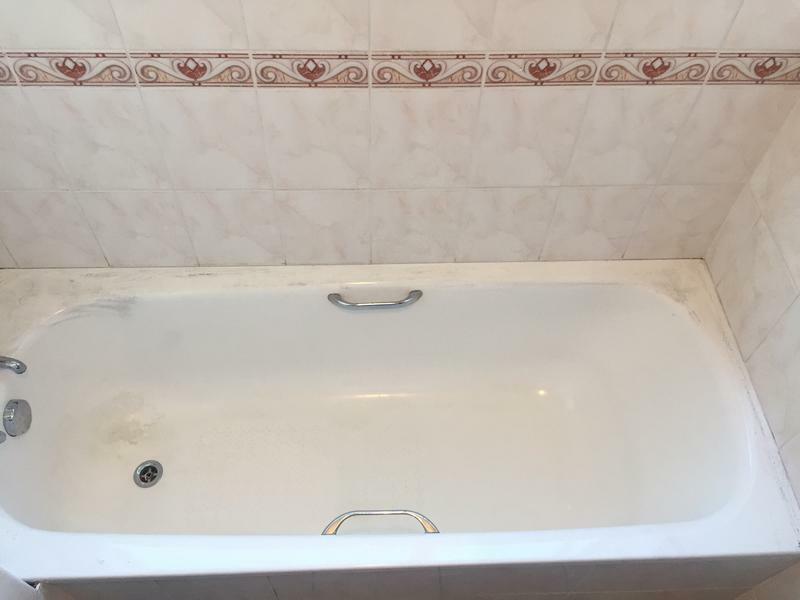 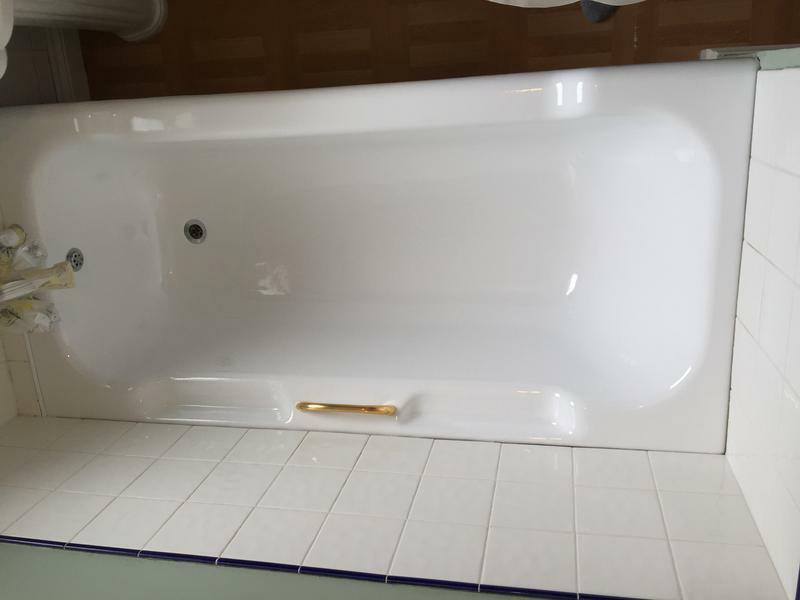 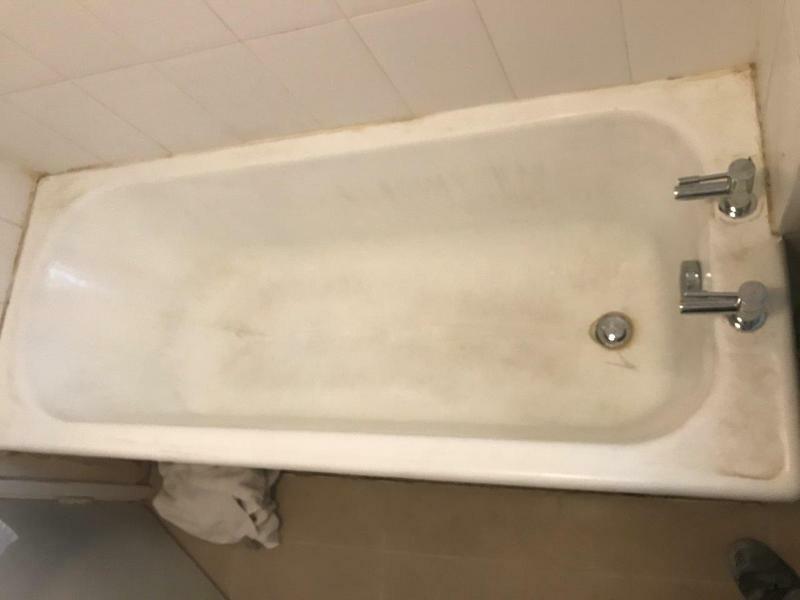 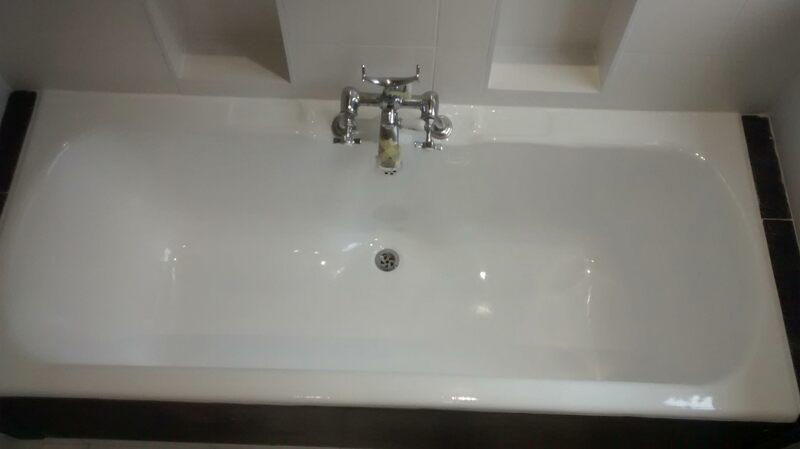 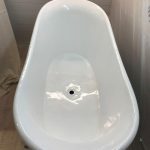 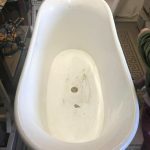 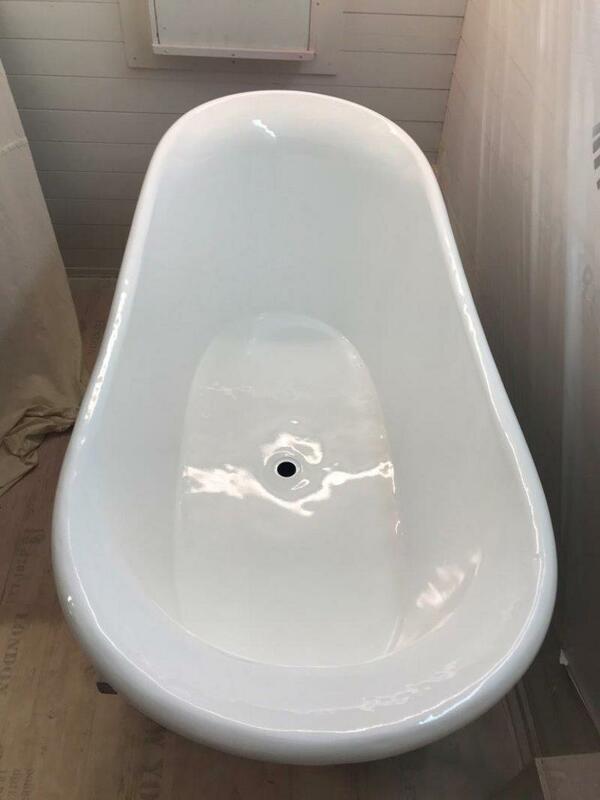 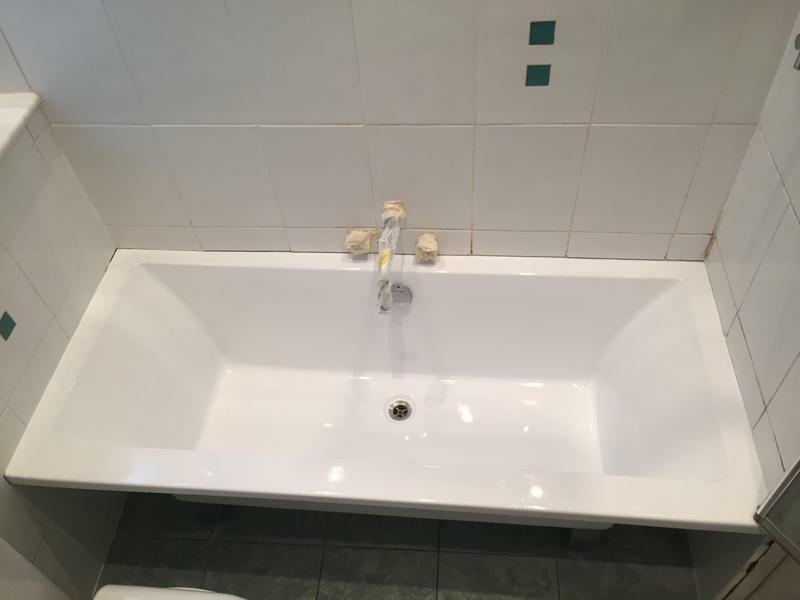 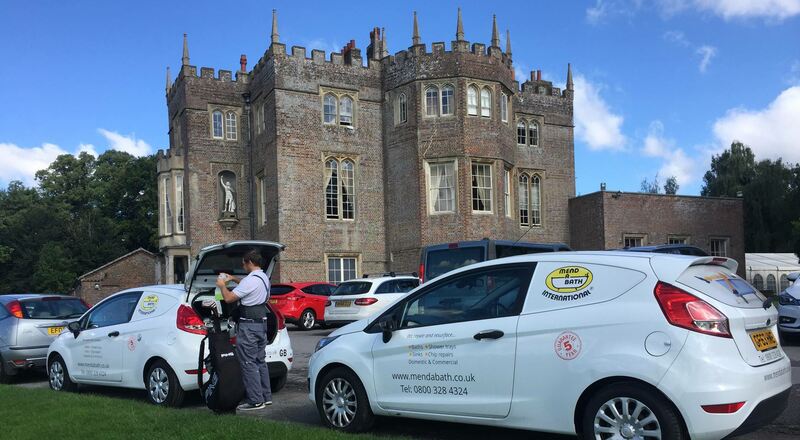 Whether you need an enamel bath resurface or an acrylic bath repair, with Mendabath UK, your sparkling new bath is guaranteed to remain new as ever for another 5 years at least. 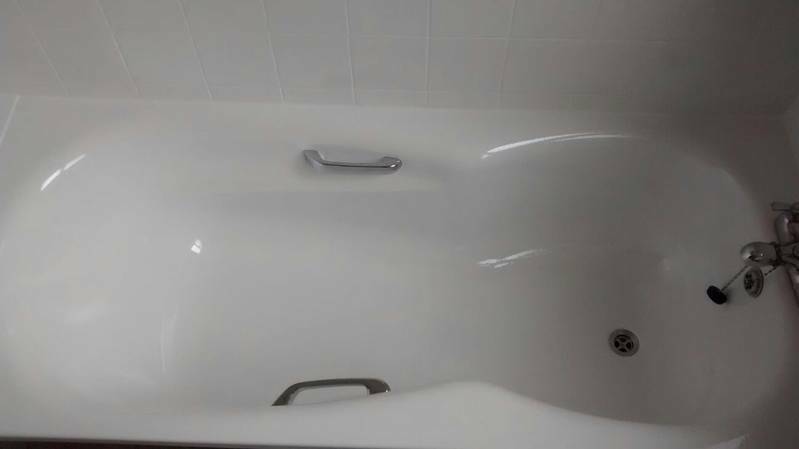 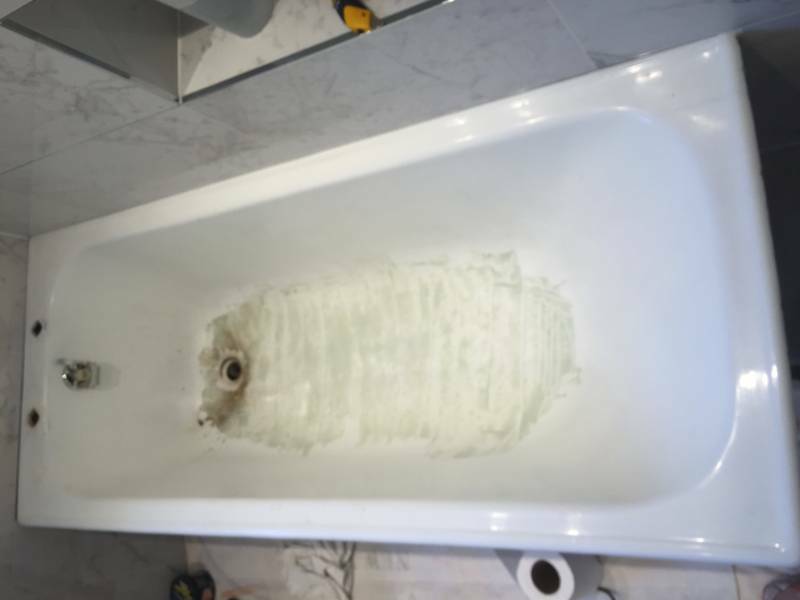 The Mendabath UK team can restore the aesthetics of your bath at a fraction of cost with our exclusive bath repair and resurfacing service. 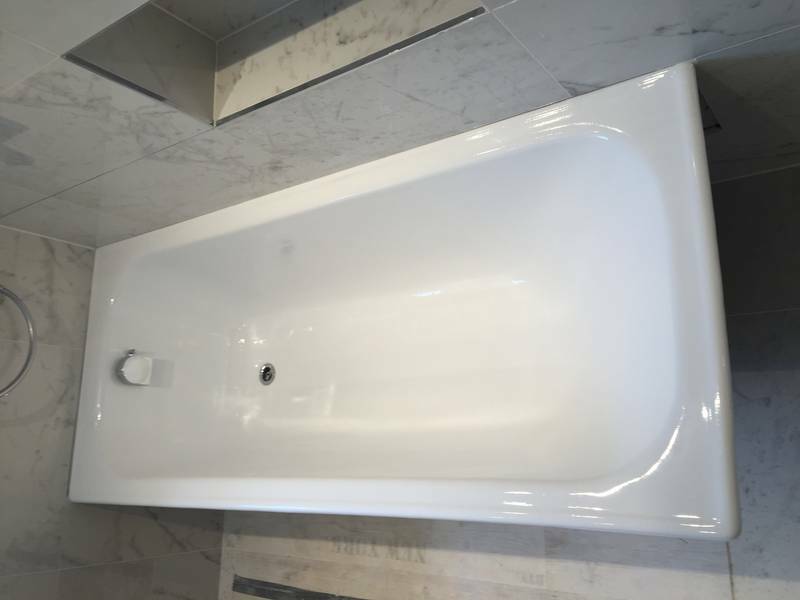 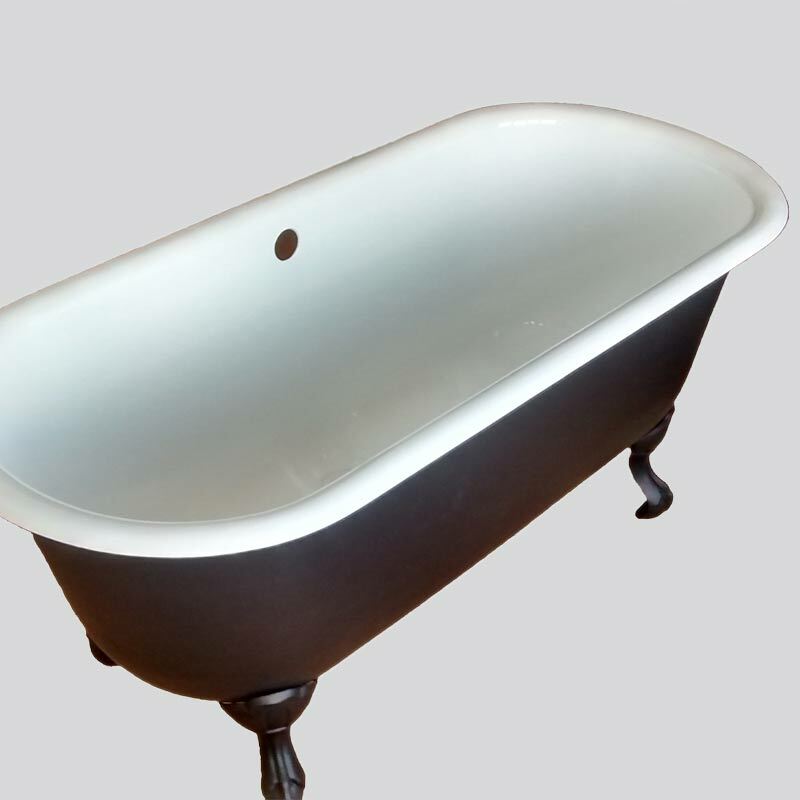 Resurfacing is a perfect solution for all kinds of baths ranging from acrylic and enamel to cast iron and fibreglass. 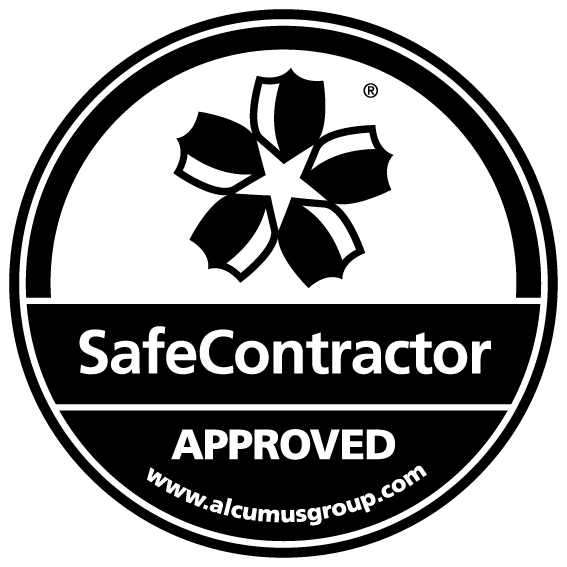 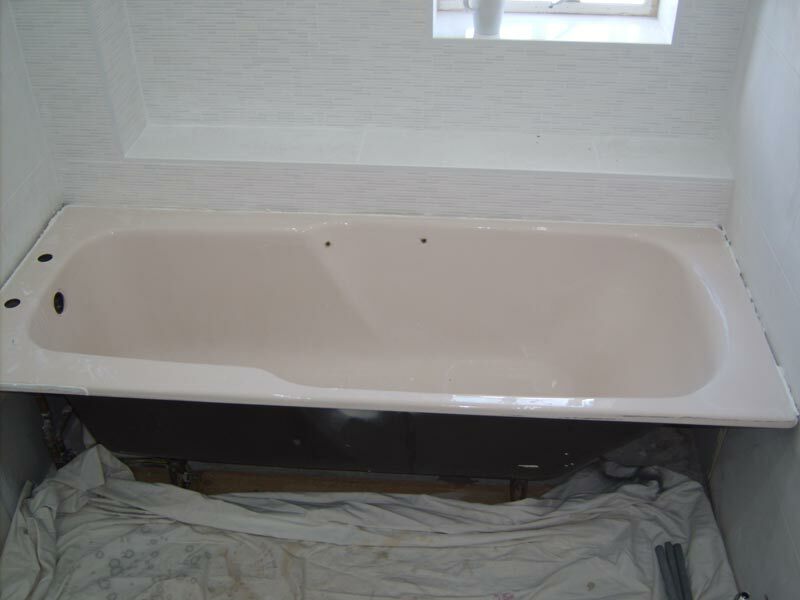 Our specialist process is compatible with all materials allowing to carry out work on any type of bathroom suite. 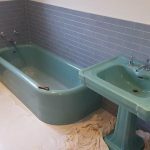 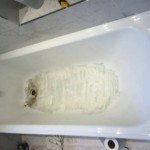 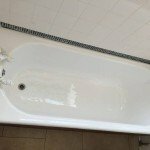 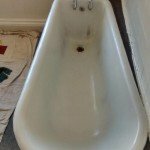 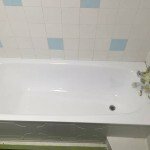 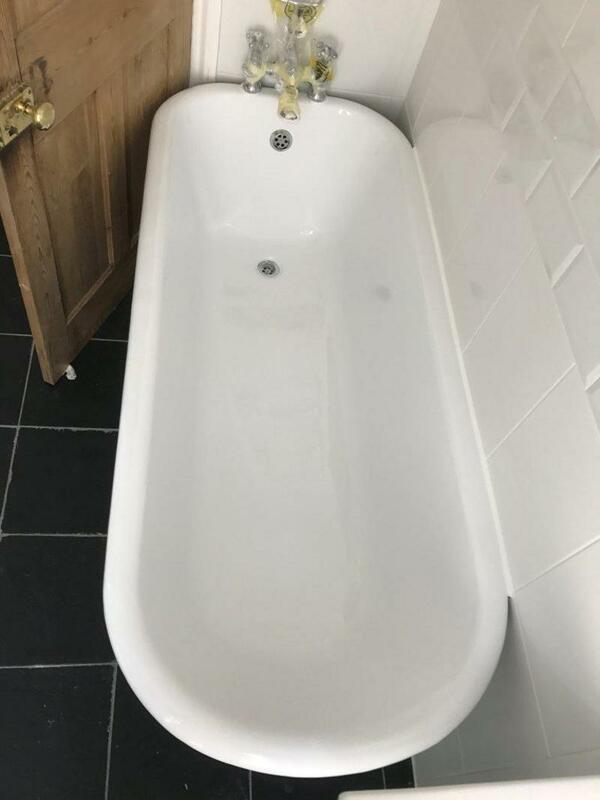 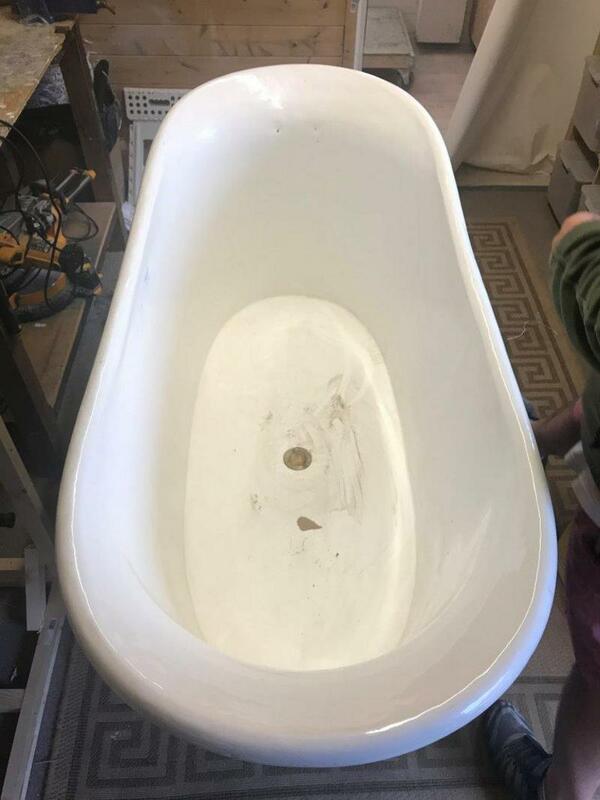 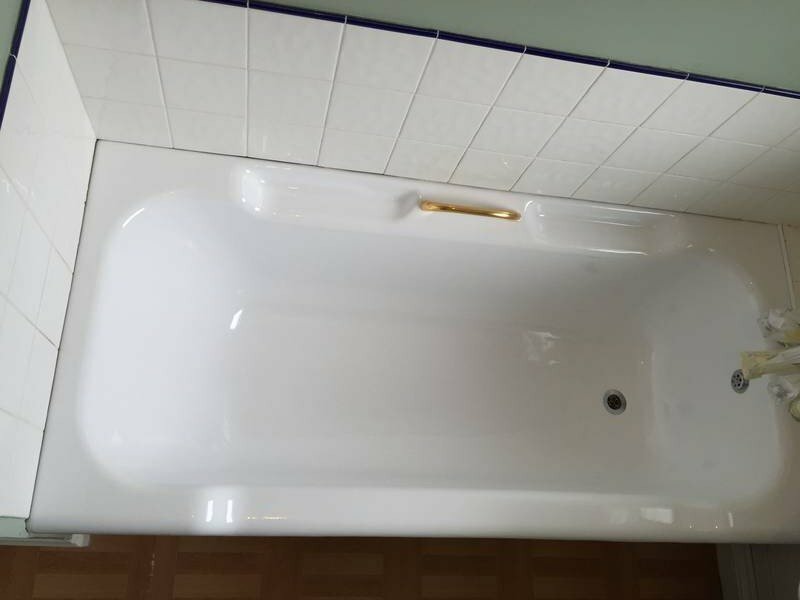 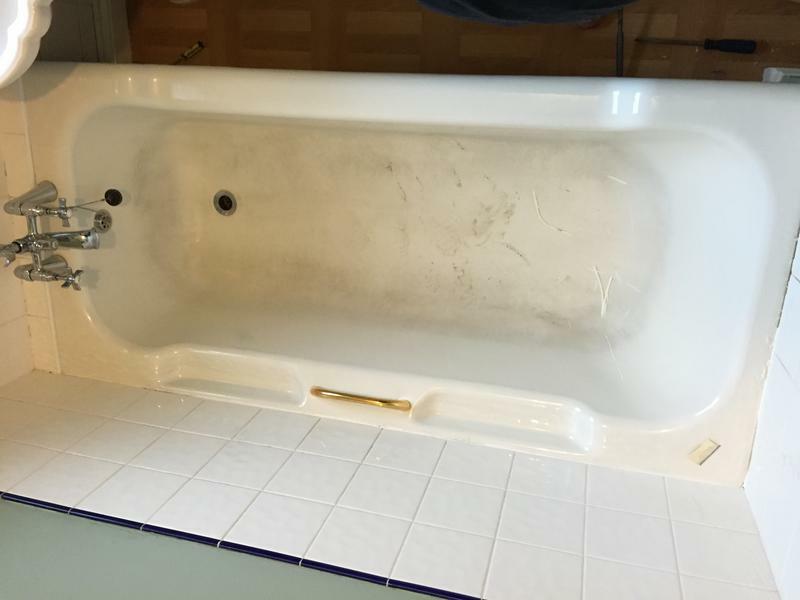 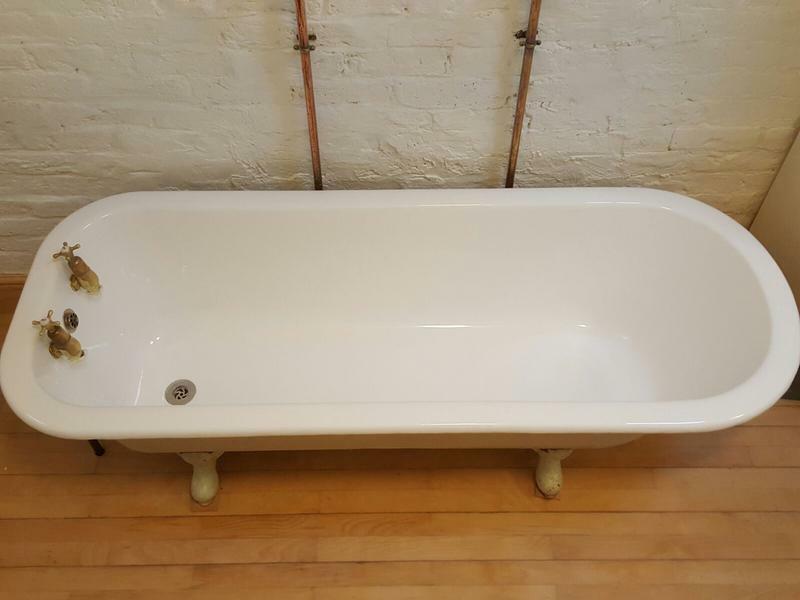 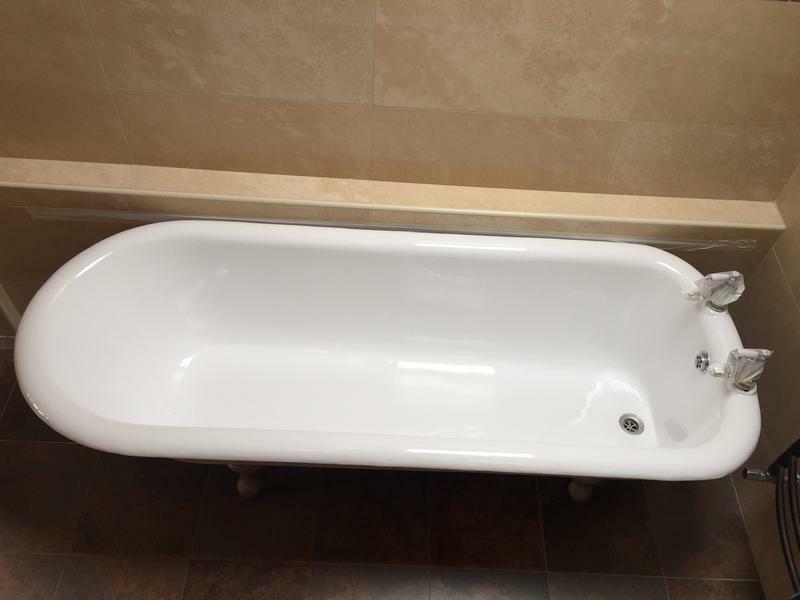 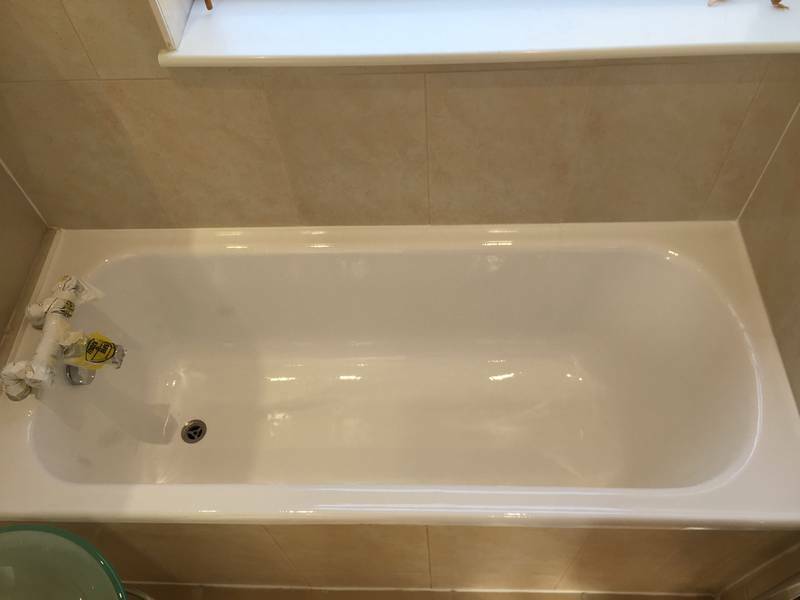 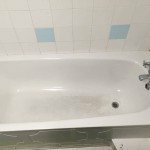 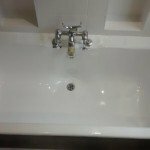 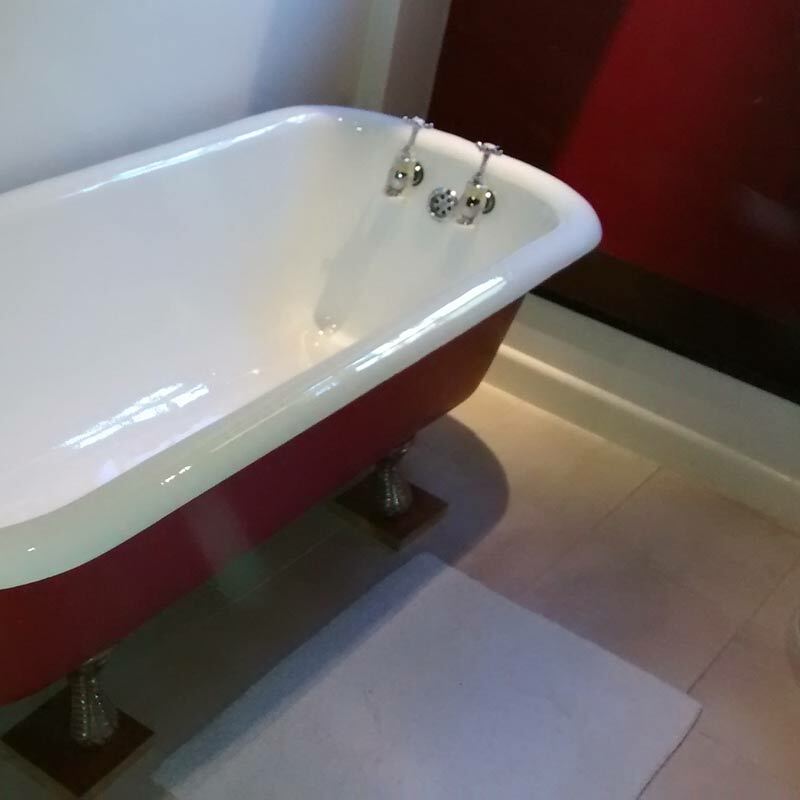 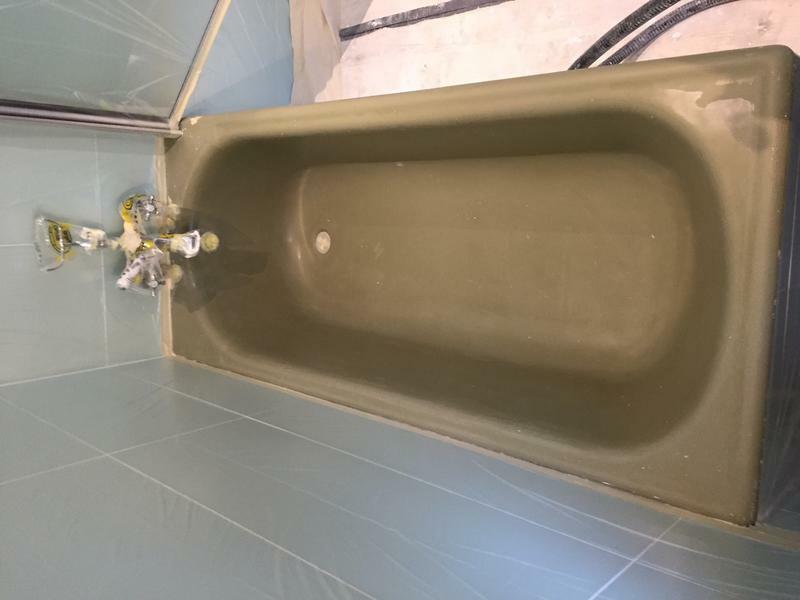 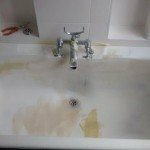 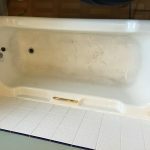 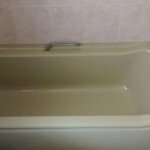 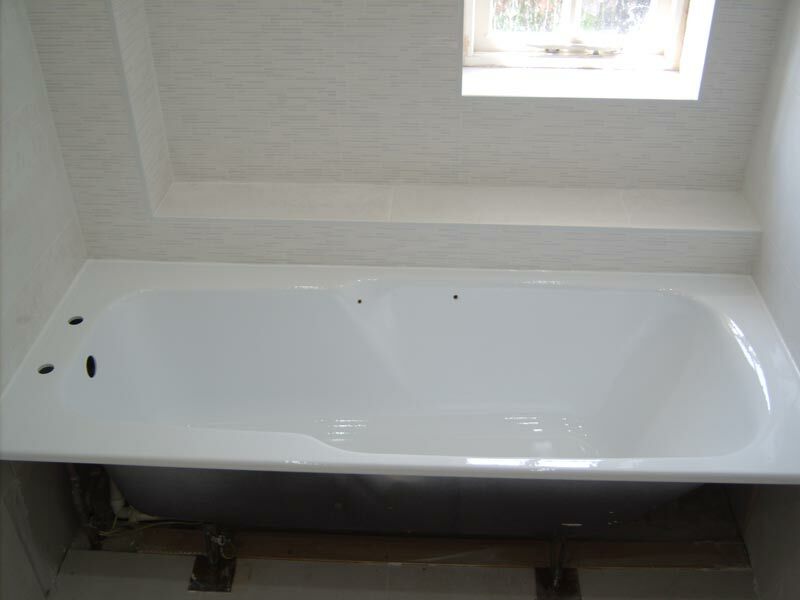 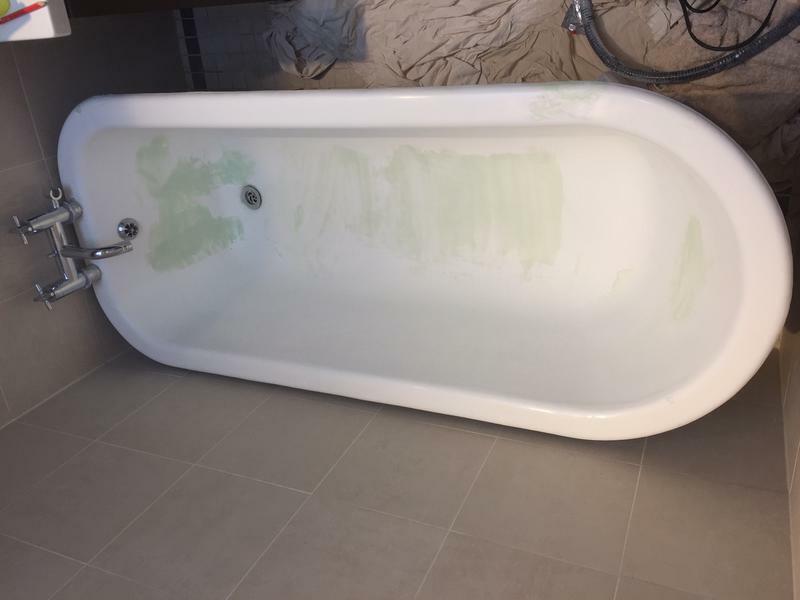 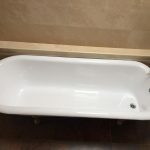 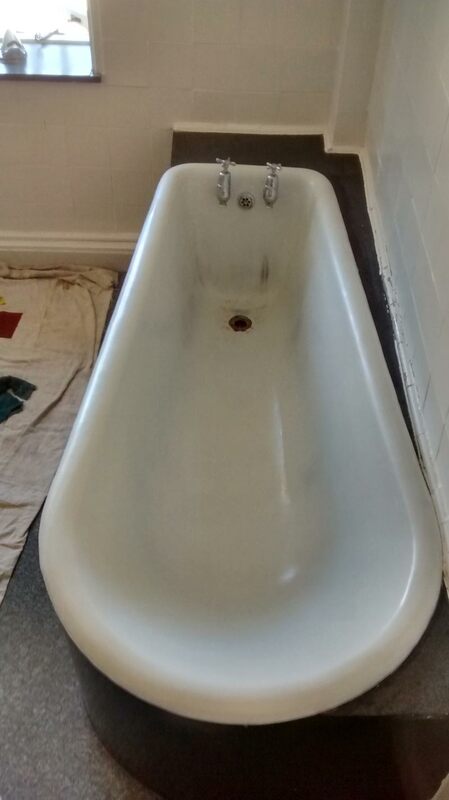 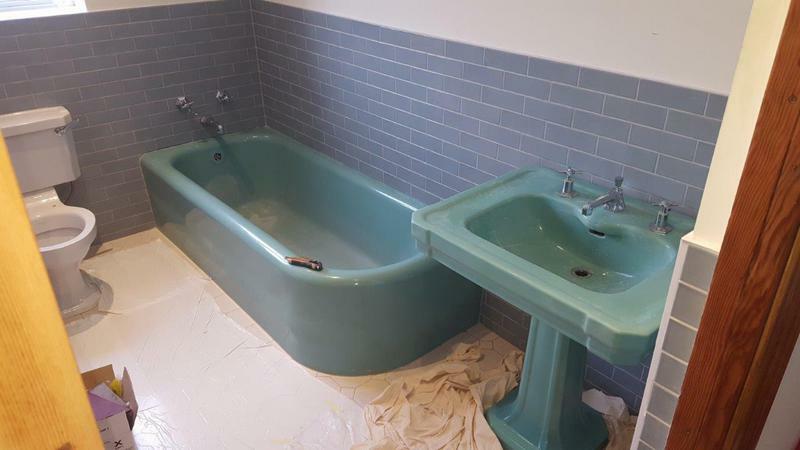 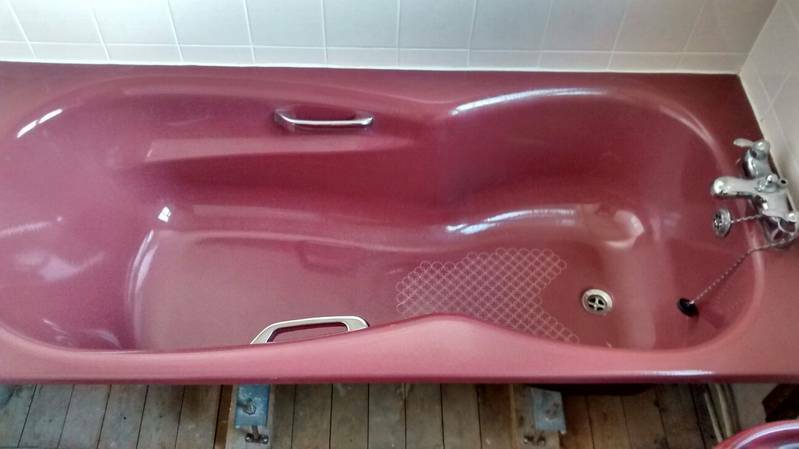 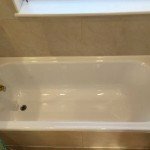 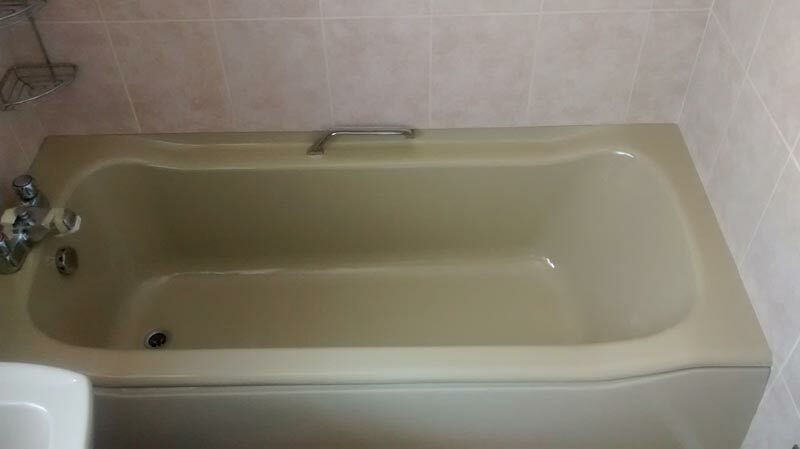 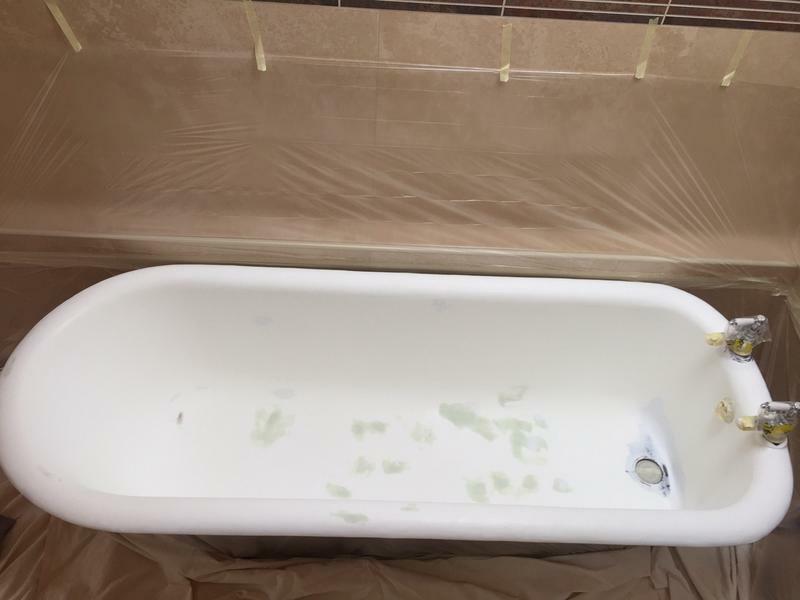 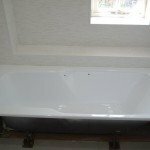 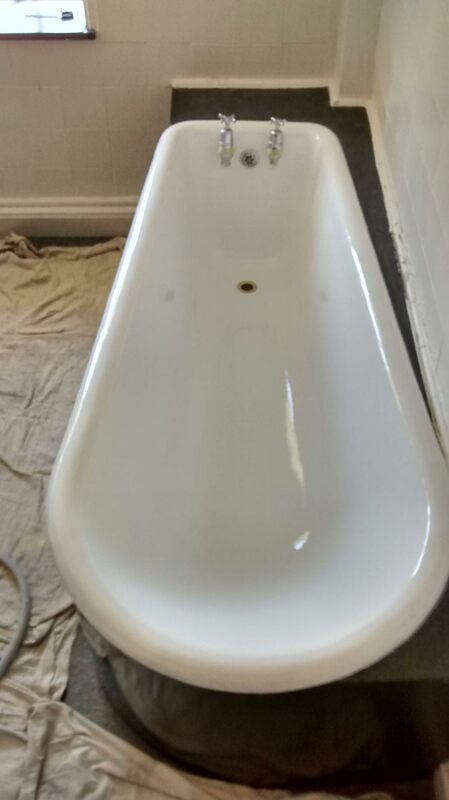 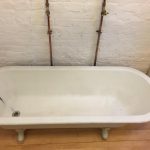 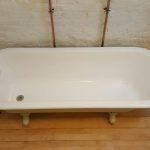 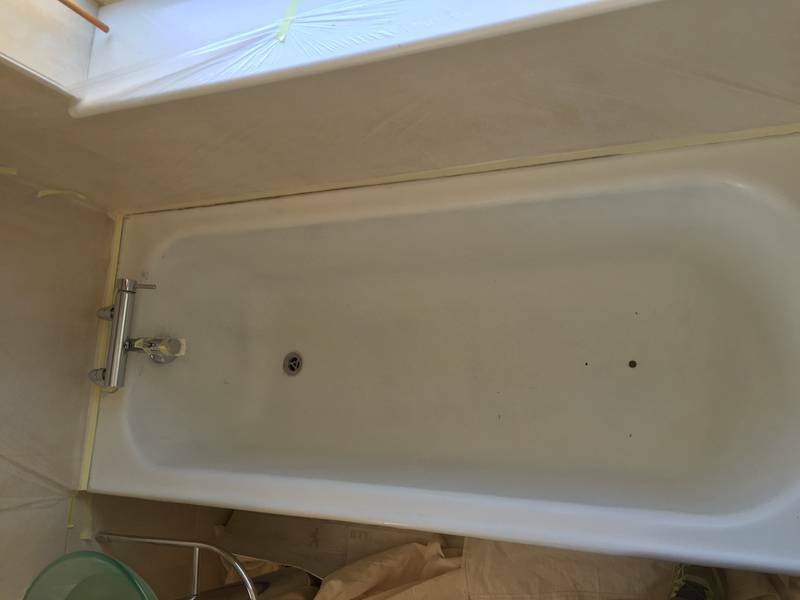 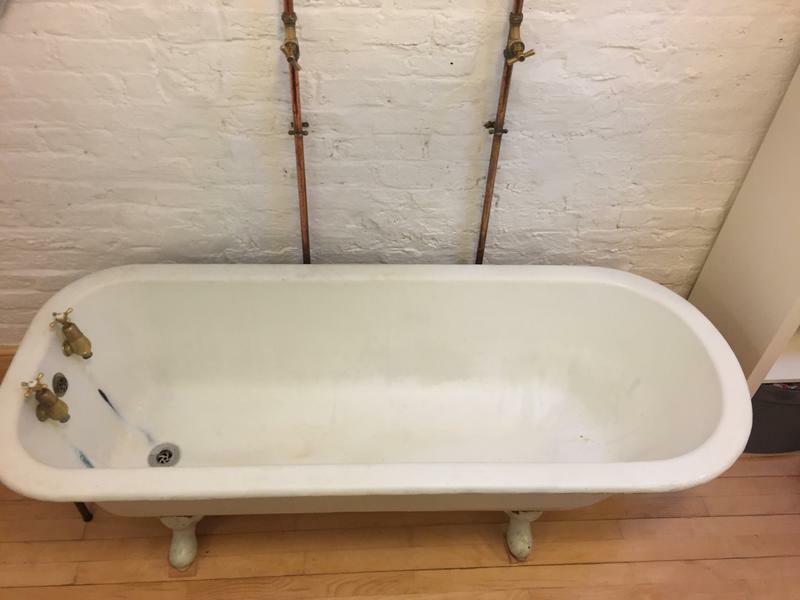 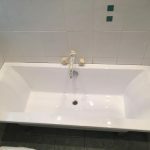 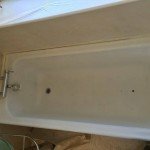 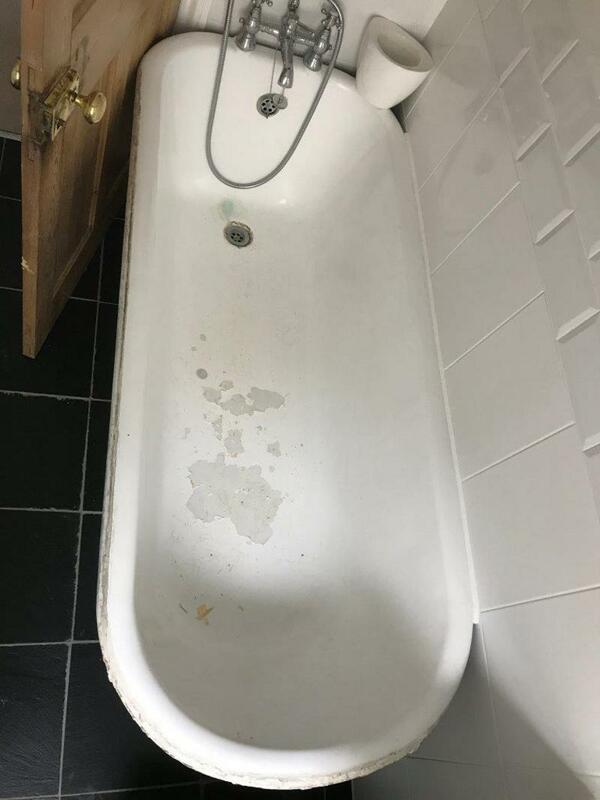 From acrylic bath repairs to cast iron bath resurfacing, the finish will have your old bath looking like new. 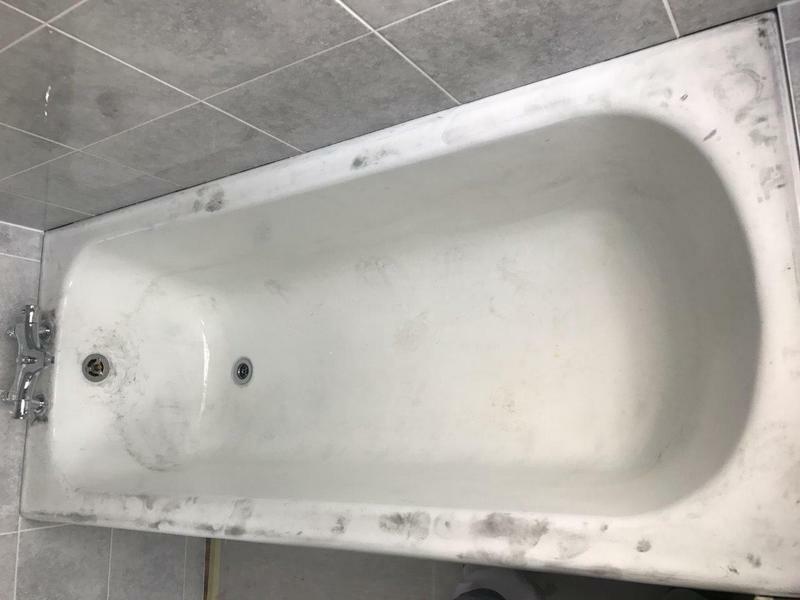 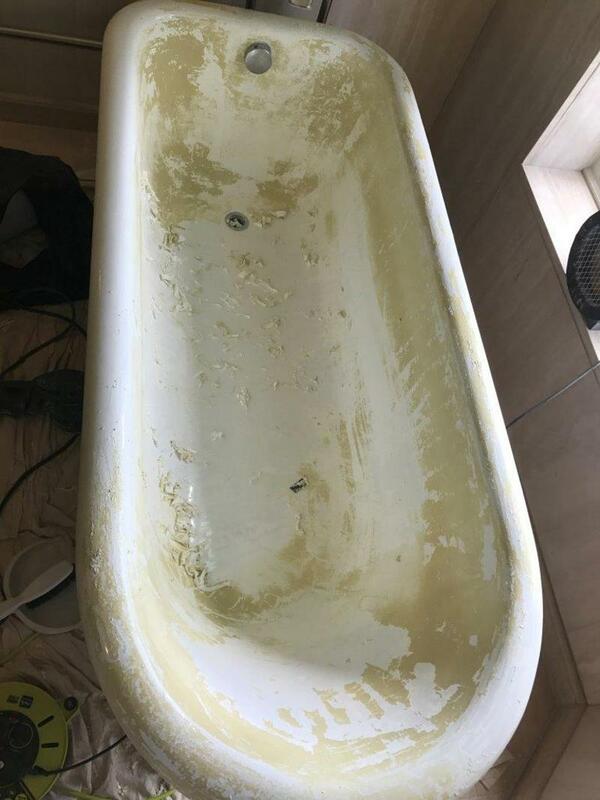 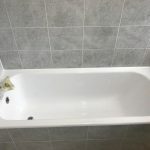 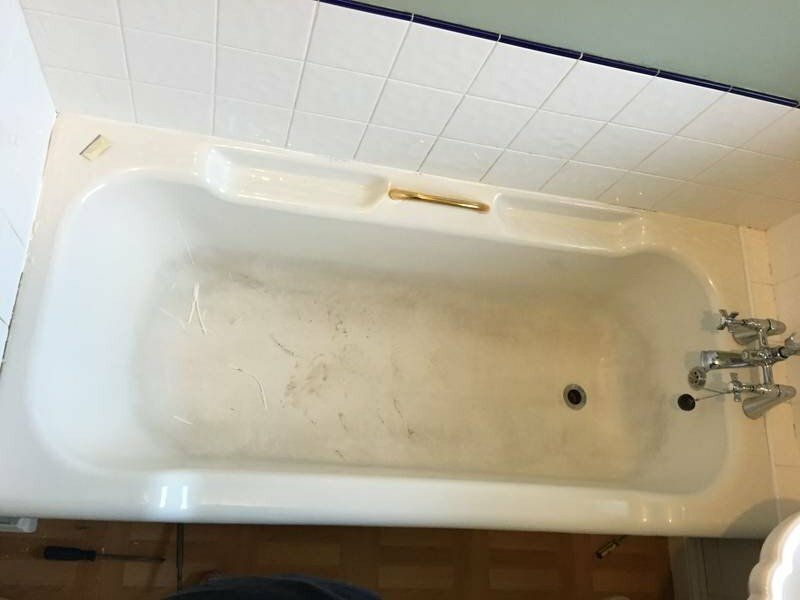 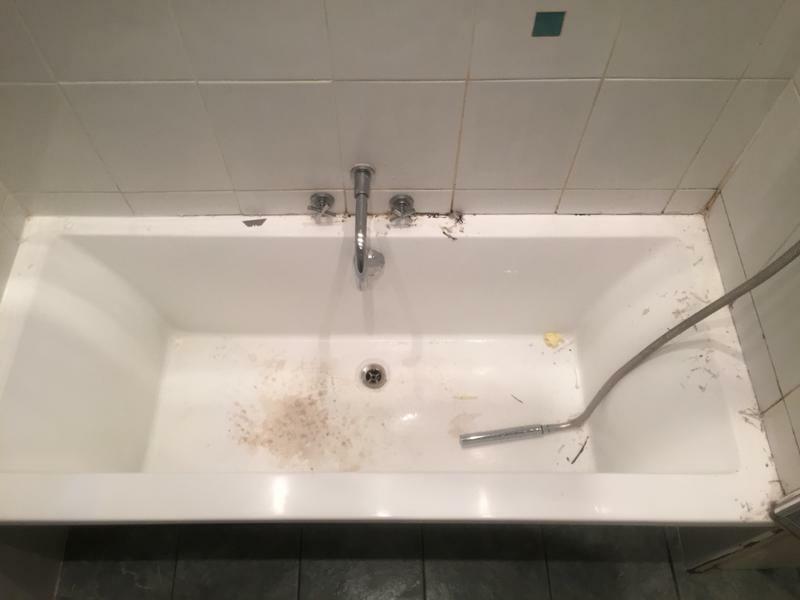 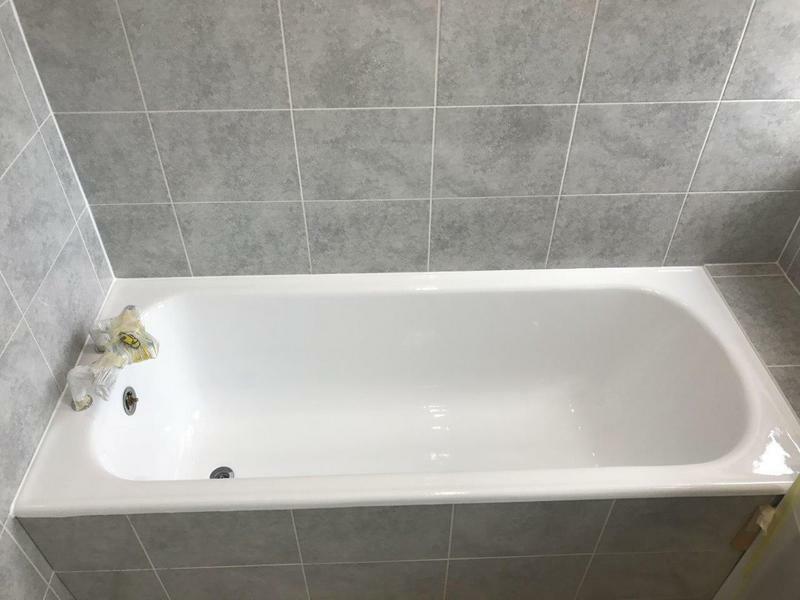 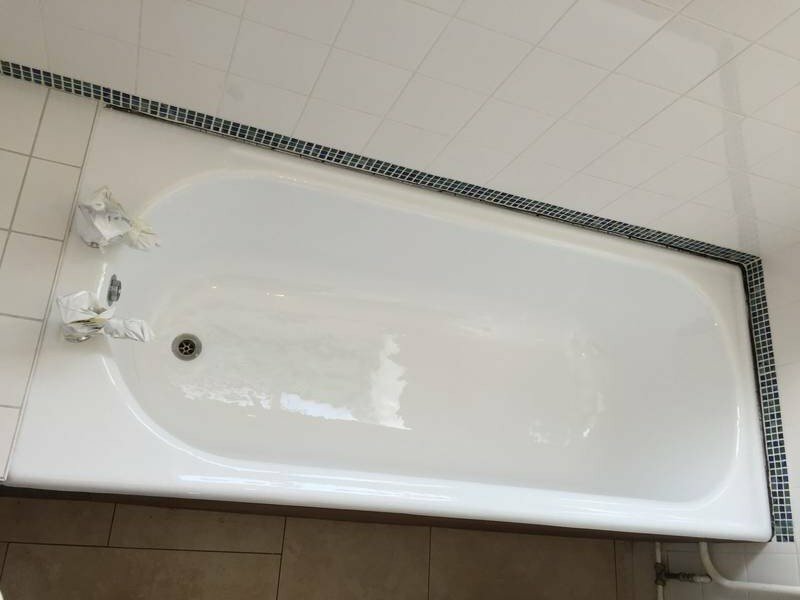 Our bath repair and resurfacing service in the UK has helped our customers save more than 60 percent of the cost when compared to the cost of bath replacement. 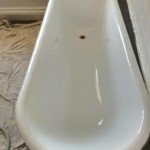 With resurfacing, we get rid of all the stains and scratches, and apply a new surface coating for an immaculate finish. 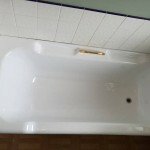 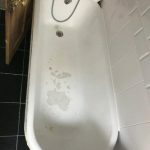 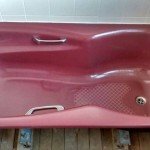 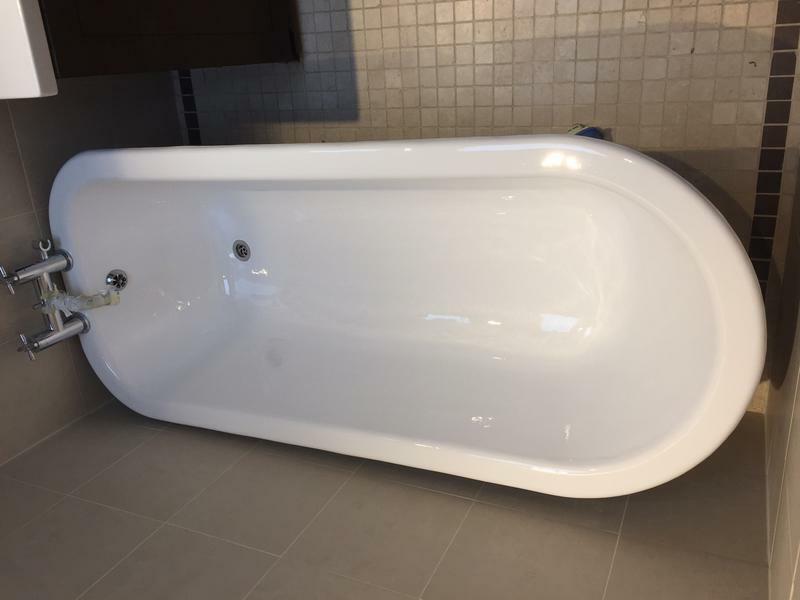 A bath replacement can cost you more than money. 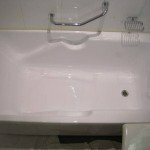 It creates a lot of mess and you will not be able to use the area for several days. 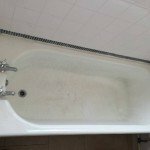 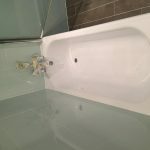 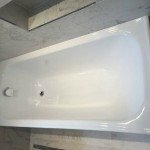 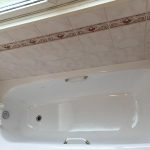 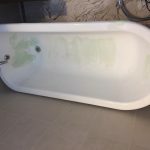 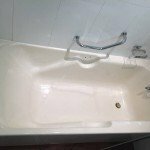 Bath resurfacing is an alternative that puts an end to all that hassle. 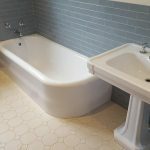 Within a matter of hours, your bath - along with all the tiles around the area - will find a whole new sparkle and strength. 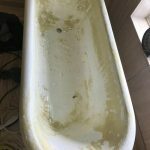 So, why replace what could be revived? 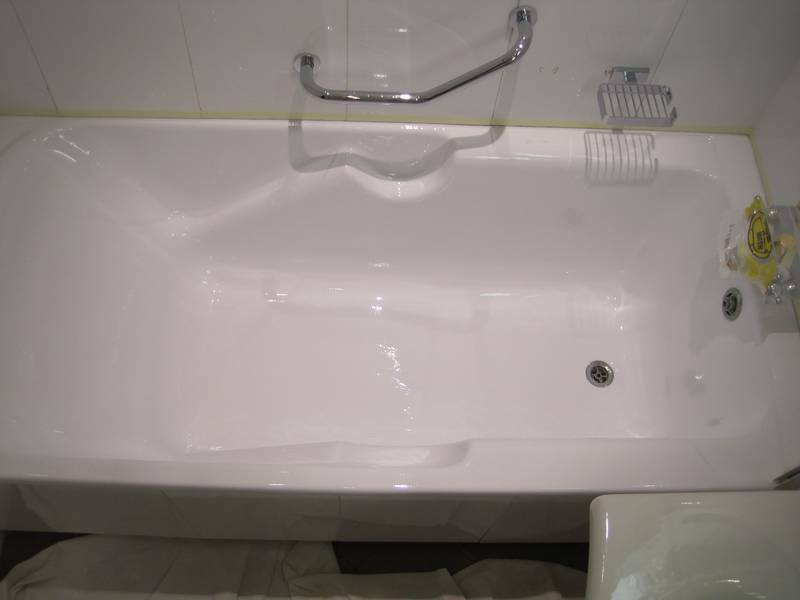 Read the FAQs to know more about bath fittings polishing and tile cleaning. 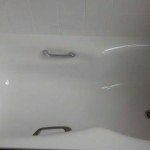 Your bath will be brighter, whiter and smoother. 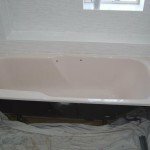 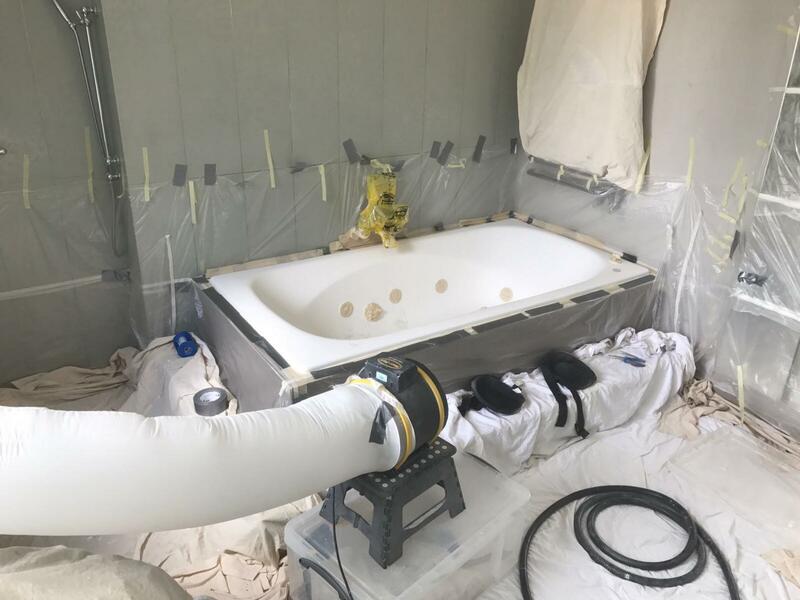 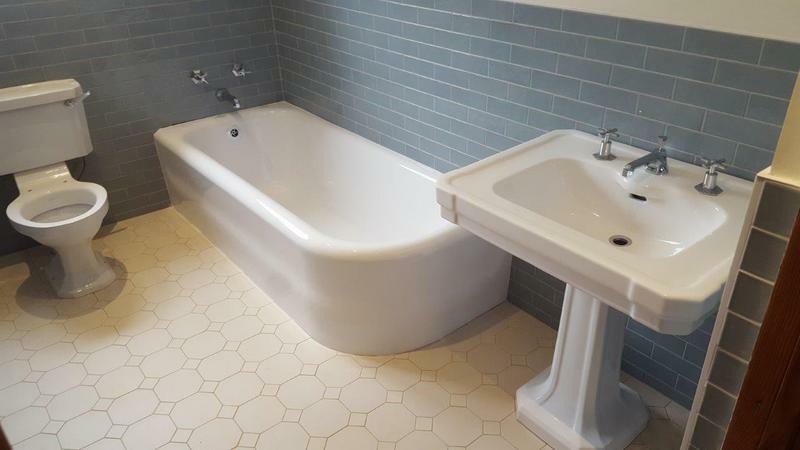 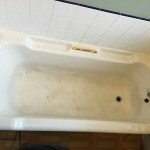 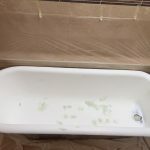 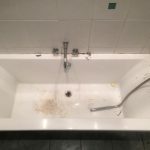 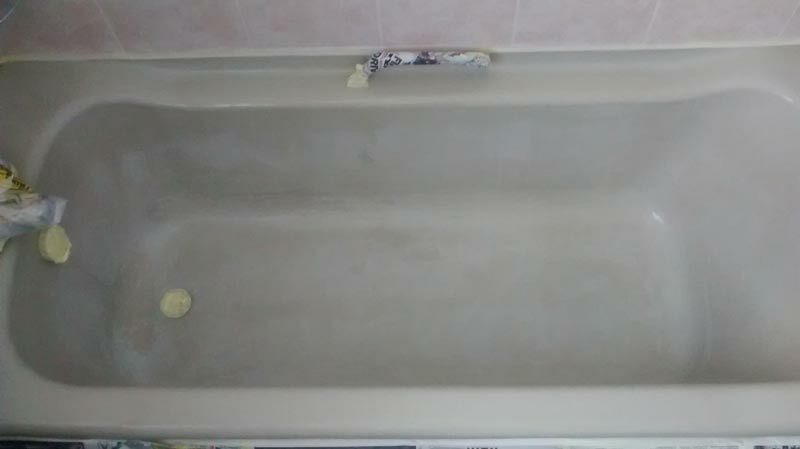 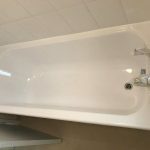 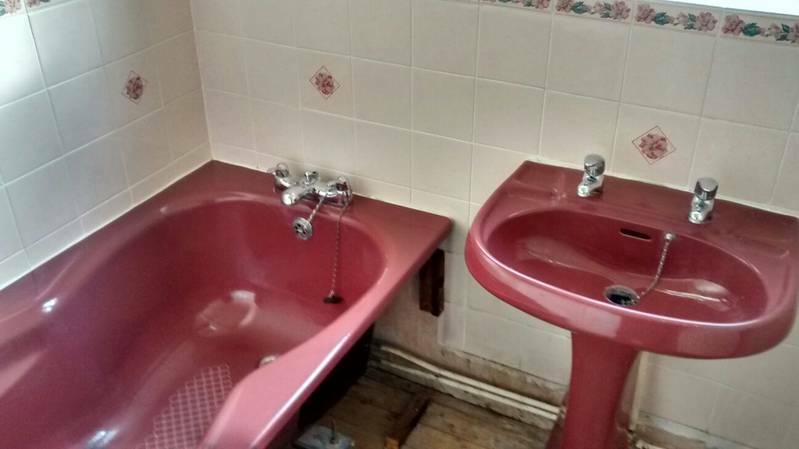 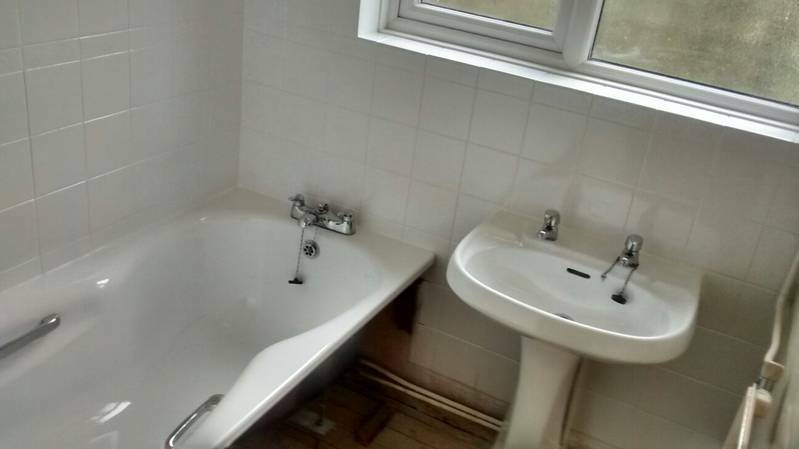 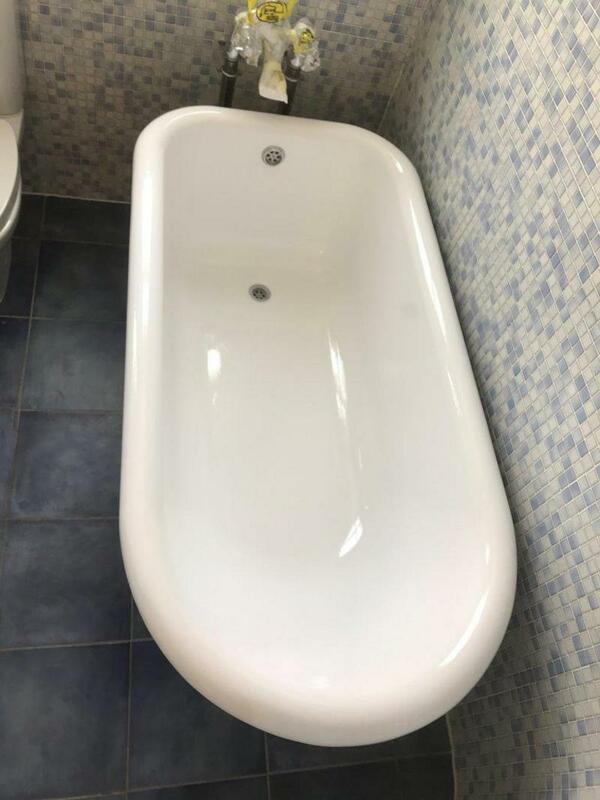 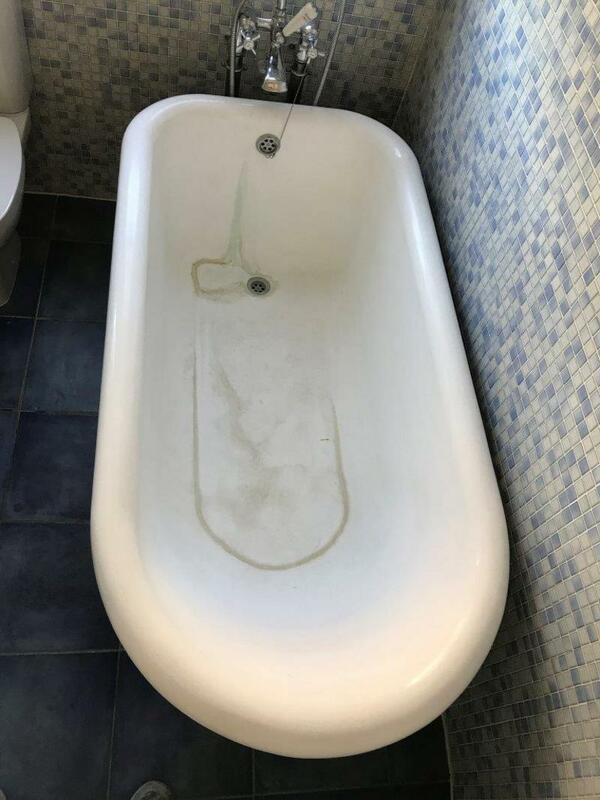 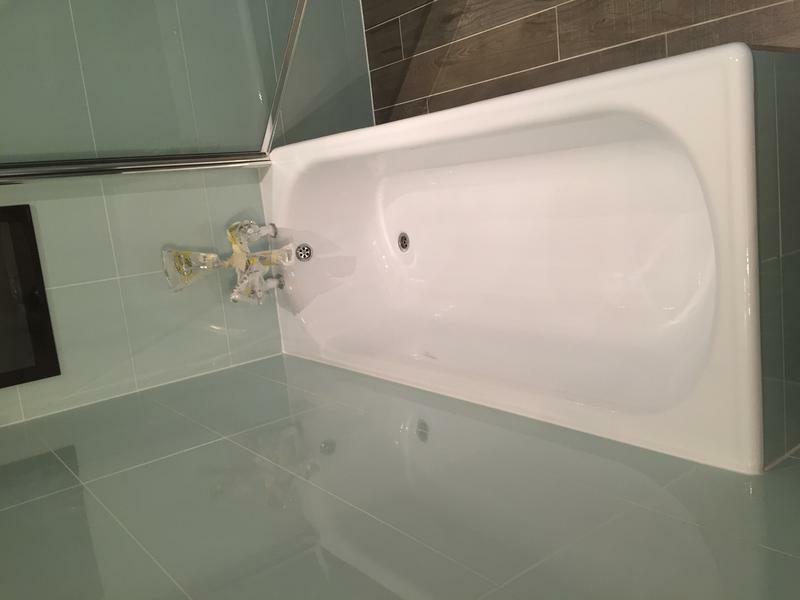 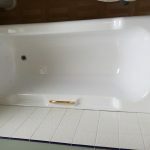 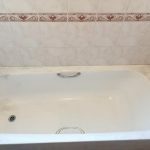 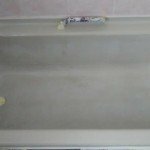 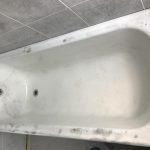 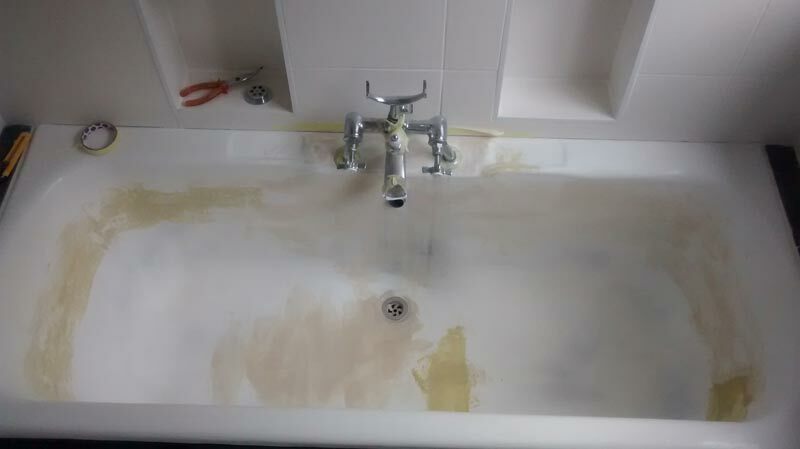 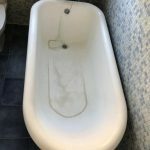 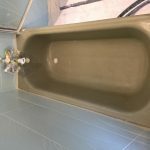 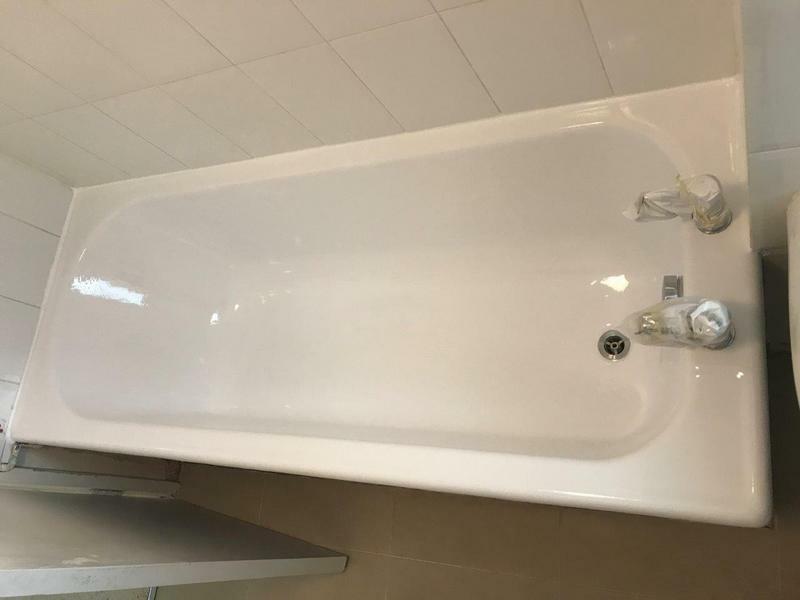 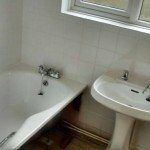 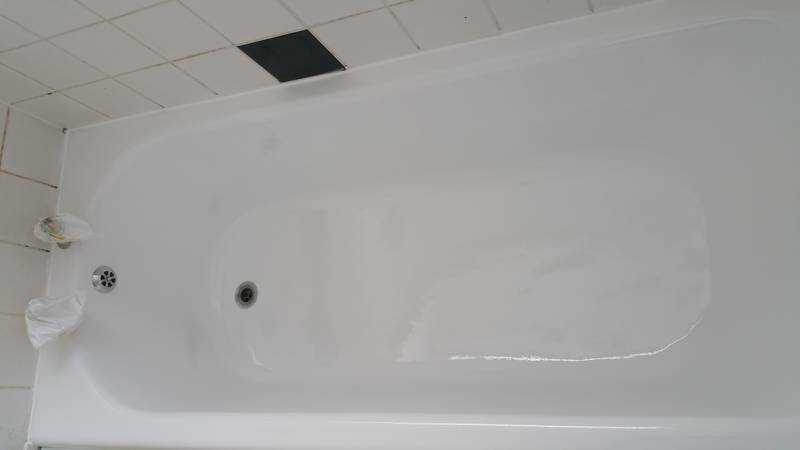 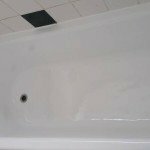 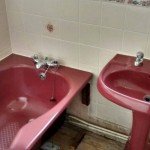 A resurfaced bath will also be easier to clean and keep clean.